Violins are probably the most well known orchestral string instrument. Used in pieces of music that are thousands of years old, it is also a favorite in modern music. The violin is such a beautiful sounding instrument and is also quite beautiful to look at as well. 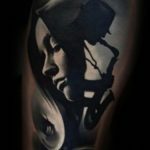 For this reason, it’s the perfect subject for any tattoo, or the perfect element to incorporate into a tattoo design. 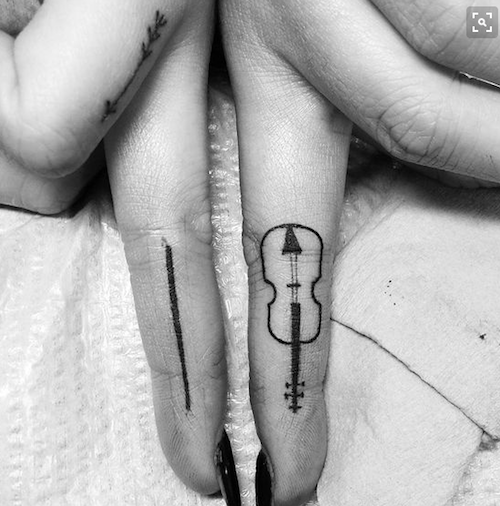 This tiny tattoo set looks like it’s the perfect type of tattoo for a violin player to get. 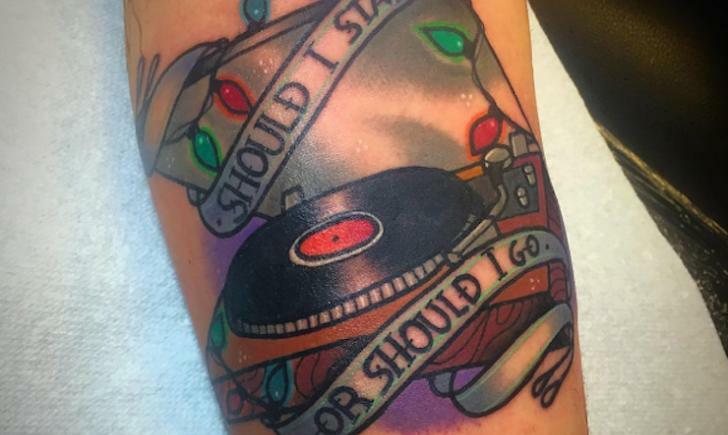 While you play, you see that tiny tattoo moving along. 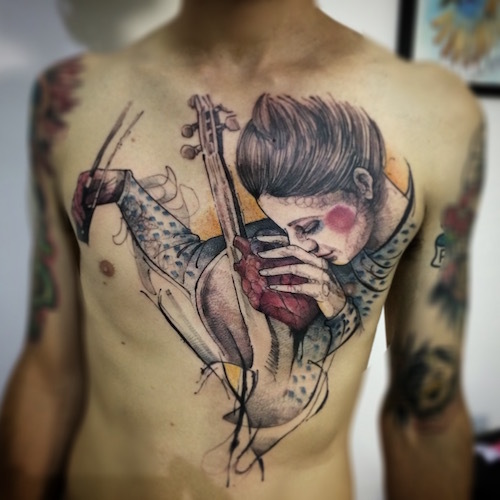 In this tattoo, the violin is incorporated into the design of a woman’s body. 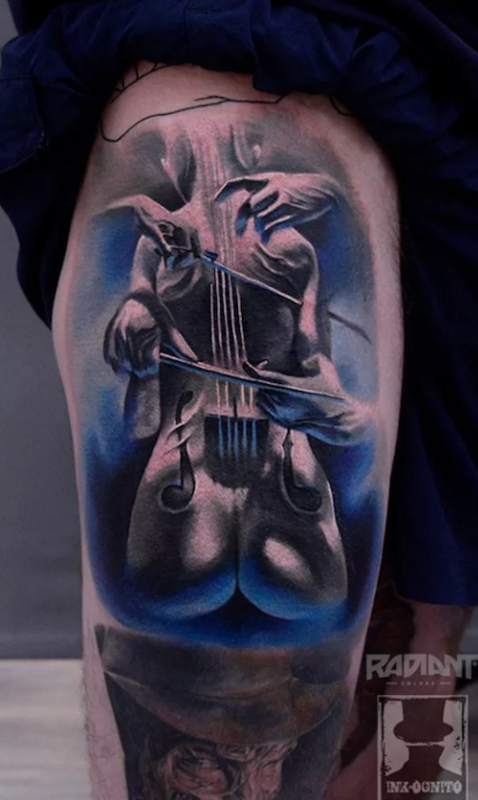 This piece is unique and mysterious with its deep blue hues. 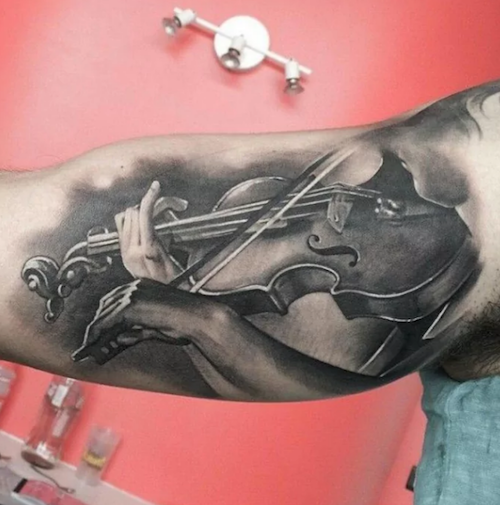 The forced perspective of this violin tattoo makes it really catch your eye. The realism here is quite impressive. 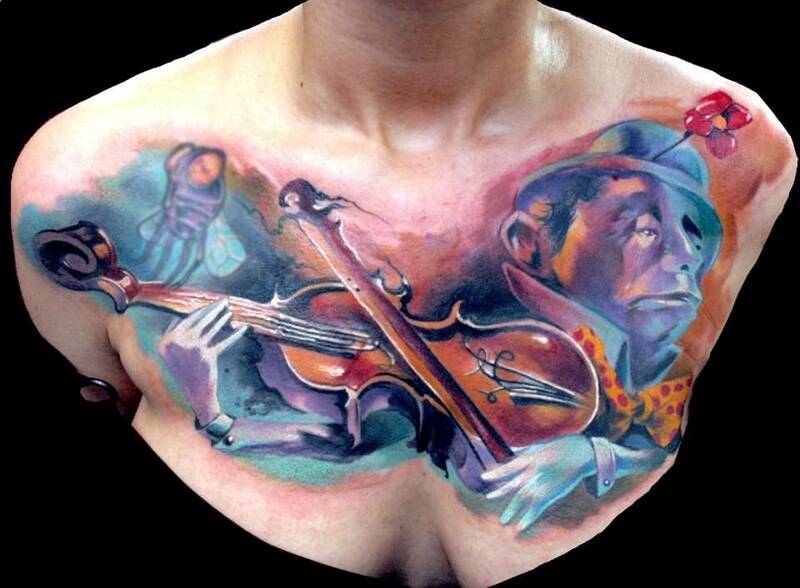 Check out the painterly quality of this violin chest tattoo! It looks like it was created out of oil paints. 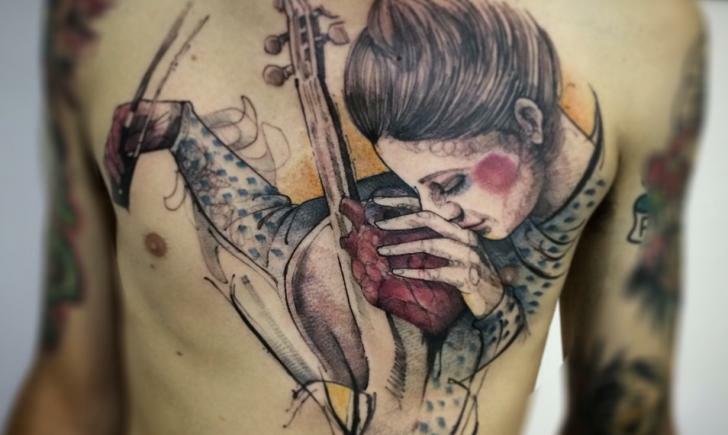 A lovely representation of the violin framed within a diamond shape makes for a great violin tattoo design. 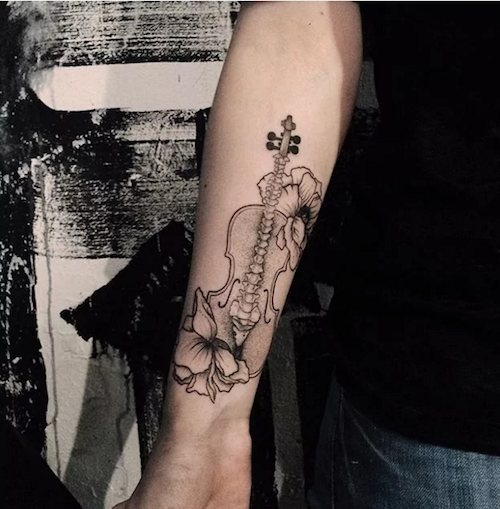 Violin with flowers – simple and lovely. 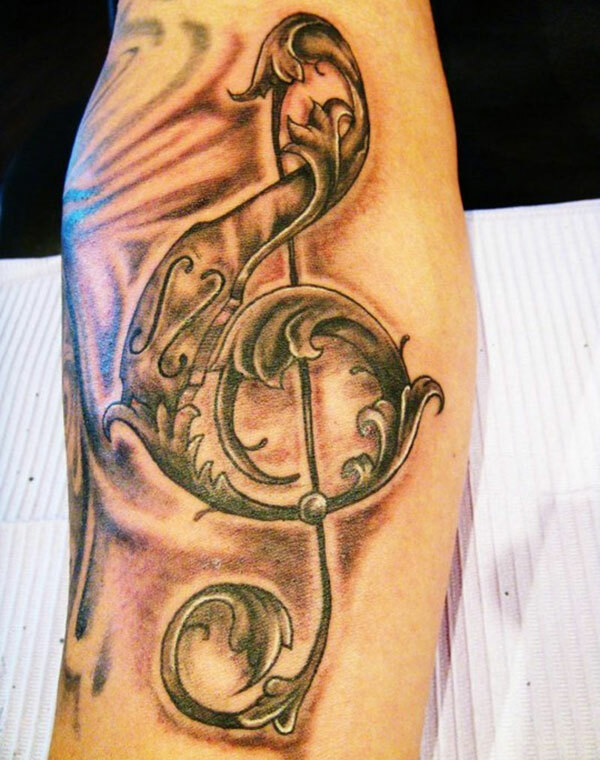 This interpretation of the violin here is a bit more abstract than most, contorted to create a treble clef. 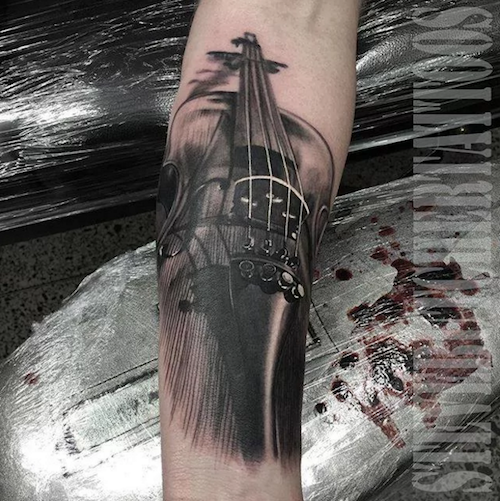 This black and gray tattoo emphasizes the beauty of the hands while playing this lovely instrument. 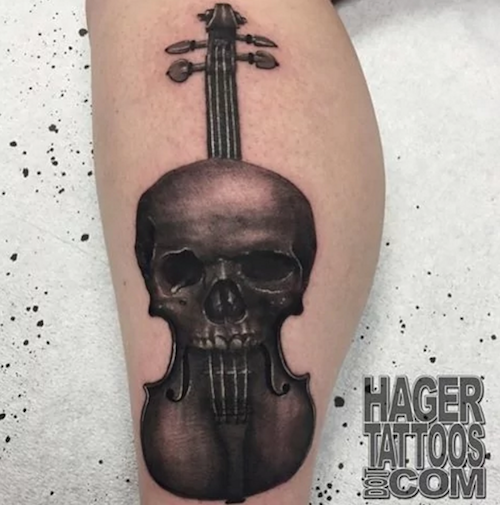 Violin and skull makes for an edgy violin tattoo. 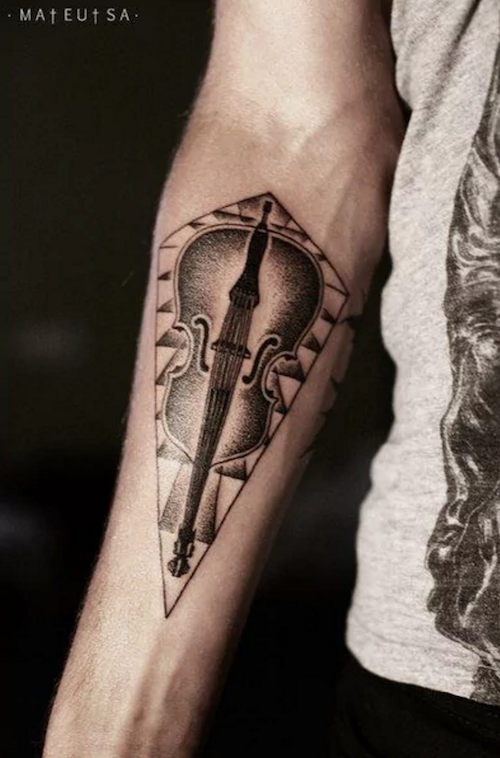 There is so much loveliness and daintiness exhibited in this tattoo – the design might be playing on the idea that a violin’s sound pulls at the listener’s heart strings.